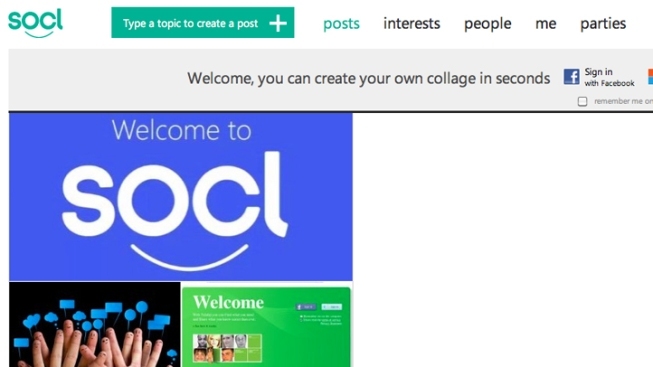 Microsoft made its new social search site, So.cl, public Tuesday. After months of closed beta testing, Microsoft made its social search site So.cl available to everyone Tuesday, CNN reported. So.cl (pronounced “social”) has both social and search capabilities, so it won’t be in direct competition with Facebook, Twitter or Google, according to Mashable. Its design allows users to create a profile based on web searches, and it’s also equipped with standard social networking tools, like comments, photo and video sharing. It resembles Pinterest, in that users can catalogue web pages they like instead of photos, CNN said. The site initially launched in May through Microsoft’s FUSE Labs, according to Mashable, and went through a period of testing at universities across the country. Now that it’s been made public, anyone with a Facebook or Microsoft account can access So.cl.